This entry was posted in news and tagged MINI Countryman spy photos on September 4, 2014 by James Day. 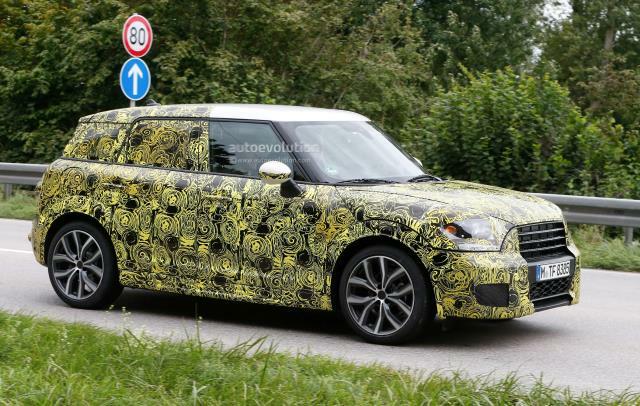 Two separate sources have published spy photos of the next-generation MINI Countryman. The new Countryman will have more a more rugged appearance and share a platform with the BMW X1. It will grow in size as a result. View five autoevolution photos at 2017 MINI Countryman Spied for the First Time. View seven Auto Express photos at New MINI Countryman spied in testing. 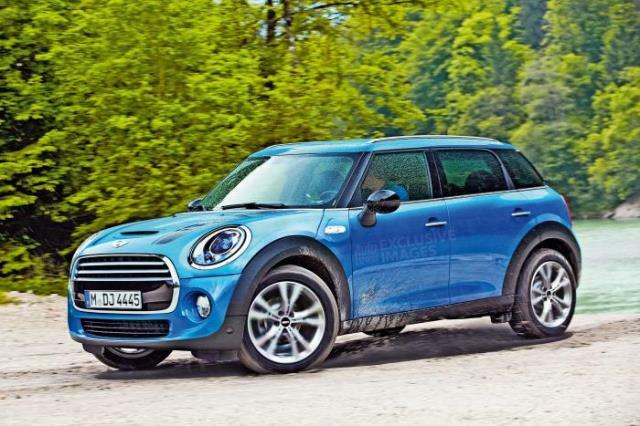 Auto Express created this rendering showing what they think the next Countryman will look liked.